The Mental Fitness Challenge is a 90 Day Program to change your life. As a kid growing up in the LakeVille school district, wrestling was big. There were great coaches, many strong farm boys, and a rabid fan base. I started organized wrestling (my two brothers and I were always wrestling at home) as a 7th grader and loved it; however, in the 8th grade LakeVille lost its millage and sports were canceled for the year. Regretfully, I stopped wrestling when sports returned my freshman year of high school, playing basketball instead. Looking back, this was a huge mistake, since basketball, although a great game, wasn’t tapping into my potential like wrestling did. Fortunately, my junior year I returned to wrestling, albeit woefully behind my former teammates. I tell you all of this to make a few points about wrestling and to draw an analogy of my wrestling experience with the new Mental Fitness Challenge program. I don’t care how technically skilled a wrestler is; if he doesn’t have physical and mental strength, he won’t be a good wrestler. On the other hand, he can have all the strength needed to be a great wrestler, but if he doesn’t have the technicals skills to leverage his strength against his opponents, he will still never be a champion. In many tournaments, I witnessed muscle-bound kids tossed around the mat by physically less impressive opponents who knew how to leverage the strength they had. Consequently, I realized quickly that, although I was strong enough, I needed a crash course on the technical skills for leverage in order to win. I could toss many of the kids around, but they would eventually wear me down using leverage to use my strength against me. In my senior year, I wrestled varsity at 126 pounds. It’s practically unheard of for someone to wrestle varsity at LakeVille as a senior (kind of like drinking water from a fire hose) :), but it was what is was. In the same way, the Mental Fitness Challenge develop mental strength which is a non-negotiable for success. Indeed, to be a champion in any field requires mental toughness to withstand the pressure and setbacks. However, with that said, mental toughness alone isn’t itself sufficient to create champions. Likewise, in each field, technical skills and leverage points must be learned to effectively capitalize on a person’s improved mental toughness. In relation to the compensated community field, the MFC builds a person’s mental toughness and the Team teaches the technical skills to leverage his results to build a large community. For the many customers of LIFE, the MFC is sufficient because it teaches the mental toughness to achieve greatness when combined with the technical skills and leverage points in the customer’s profession. In contrast, for those involved in the LIFE compensated communities the Mental Fitness Challenge is essential but not sufficient. To build large communities one must develop the technical understanding around Power-Player and its inherent leveraging capabilities. Every profession separates the professionals from the amateurs in the same way: 1) Mental strength and 2) leveraging specific skills repeatedly. The community building field is no different. Power-Player is our play and it scores every time we run it properly. Effective execution of Power-Player requires the same hunger, discipline, and practice to become a champion as it does for a winner in any field – mental strength and leverage skills. I am thankful for my brothers, who helped me develop my physical strength by wrestling at home; however, placing second in the District meet as a first-year varsity wrestler (an unheard of feat) was the work of an encouraging assistant who invested his time to teach me the leverage skills for wrestling. Similarly, if you are in LIFE, are you willing to invest the time to develop your leverage skills or do you think mental strength is sufficient? Champions in LIFE will master the mental toughness provided through the MFC and the technical skills for leverage provided by Team and win on a huge scale. Like I have said many times: A person either hates losing enough to change or he hates changing enough to lose. I hate losing; therefore, I change. LIFE is creating a group of interdependent mentally tough leaders, who have mastered the skills of community building through the play that scores every time and its called: Power Player. The Petition of Rights is the second key document in the history of English-speaking people’s freedoms, following the Magna Carta. The Petition didn’t state any new principles; rather, it was recognition of rights against the tyrannical abuse by the King Charles I. King Charles, because he needed funds for war, repeatedly violated private property by seizing assets and money from his subjects. For example, in 1627, Charles initiated “forced loans” against his people because parliament refused to approve any further taxation. The courage mustered by the English Parliament to stand their ground is inspiring to freedom fighters around the world. Had parliament surrendered to the King’s power play, the Magna Carta would most likely be buried under the authoritarian precedences. Instead, however, parliament revived the Magna Carta and courageously said “no” to King Charles I, refusing to surrender the principles of freedom for pragmatic “peace without justice.” The Magna Carta and the Petition of Rights have the same goal in minds – justice under rule of law. By checking the use of arbitrary force against the people and insisting the kings, nobles, and subjects all live under the rule of law, justice was saved. The English-speaking world would be practically unrecognizable today had the legal mind of Edward Coke not placed his pen to paper and documented the English rights against any and all usurpers. Communities must learn and love their freedoms as much as the English Parliament did in the 17th century. Thus the reason for LIFE and the Mental Fitness Challenge. Below is an excellent summary from Dr. Bill Long. A piece of paper is never so alive as when its principles are also in the hearts of the people. If you were to do an Internet search for “Petition of Right,” you would come up with an 11 paragraph document that stated the “objectives” of a 1628 legal reform movement. This movement not only led to the English Civil war in the 1640s but also expressed many ideas of the American Revolution. The Bill of Rights of the U.S. Constitution contains some of the principles first articulated in the Petition of Right. But the petition didn’t just emerge whole-cloth. It was shaped in difficult circumstances, where liberties had been dramatically curtailed. The purpose of this and the next three pages is to discuss the purposes of the petition, the manner in which it took shape and some of its provisions. This essay will consider the background to the petition. Although the detainees were remanded to prison after the case concluded in November 1627, the issue of their imprisonment without charge did not die. As a sign that even the King’s Bench was not fully satisfied with its decision, the judgment never was entered on the record. Then, in January 1628 the prisoners were freed in anticipation of Charles I calling another Parliament (it would be his third since his accession to the throne in March 1625). He needed more money, and it would have been impossible to get Parliament to agree on more taxes if the loan “refuseniks” were still behind bars. Thus, he had to show an example of “magnanimity” by releasing them. However, elections did not go in the Crown’s favor. All “Refusers” who ran were returned to Parliament. The die was cast, even if the Crown didn’t realize it. Thus when Parliament met in March 1628, the King wanted to take up the issue of subsidies immediately, but the House of Commons had other ideas. Still stung by the arbitrary imprisonment of loan refusers and by more recent decisions of Charles to quarter troops in private dwellings in order to save money and to enforce martial law throughout the Kingdom, the Commons decided upon a “personal rights” agenda. They agreed in principle to taxations for foreign wars, but were more concerned with addressing (and redressing) the issue of remedies for a freeman falsely imprisoned. Catherine Bowen Drinker, in her prize-winning biography of Coke (The Lion and the Throne) states it well: the issue before the Commons was whether to go by way of bill, petition or remonstrance. The last was quickly dismissed because the Commons wanted to express more than their dissatisfaction with existing conditions. The first was also discarded because a bill (a statute) suggested that the Commons would be declaring new rights or rights insufficiently clarified in the traditions of the people. But Coke’s approach, along with others, was to see what they were doing as expressing rights long recognized rather than devising something new. Thus, a petition was the effective vehicle. But another distinction had to be made, between a petition for grace and a petition of right. The former was a request from a freeman asking the King’s mercy or largesse whereas the latter was a sort of demand (even though called a petition) for rights to be recognized. They would seek the latter. By the end of March 1628 four basic concepts for the Petition of Right were articulated by the Commons. These were: (1) no imprisonment of freemen without cause shown. The King’s command alone was insufficient to hold a man; (2) habeas corpus was not to be denied; (3) [overlapping with the preceding] the prisoner would either be bailed or released after a habeas hearing; (4) there would be no “tax, taillage, loan, benevolence” commanded or levied without the approval of Parliament. The thing that really stuck in the craw of the Commons was that freemen had been imprisoned without cause by royal order. But in order for the Petition to have teeth, it had to be approved by the House of Lords and assented to by the sovereign with the traditional language, supposedly going back to Edward I: “Let right be done even as it is desired.” But the House of Lords responded to the four propositions of the Commons in April with a series of paragraphs beginning with “His Majesty would be graciously pleased to declare.” In other words, the Lords wanted to transmute the petition of right into one of grace. The negotiating continued throughout the Spring. Finally, the debate within the Houses of Parliament centered on one phrase, a phrase suggested by the Lords, to which the Commons could not assent. It was a request to preserve liberties but “to leave entire the sovereign power” of the monarchy. By the end of May, the Commons had convinced the Lords to drop the phrase, arguing that traditional royal prerogatives would not to be threatened by the peoples’ declaration of their desire to be safe in their persons. Charles finally acceded to the Petition in June 1628. His agreement was secured for two reasons. First, he needed the subsidies which the Commons were holding up because of the Petition. Second, he managed to secure agreement from his hand-picked judges that the Petition would not be interpreted in a sense contrary to his desire. But the tide really had turned now against Charles. His seemingly bold actions early in his reign, while he was still a man in his mid-20s, ended up recoiling upon his head. Trust had been irrevocably broken through the Five Knights Case and his attempt to limit the effect of the Petition of Right ultimately was of no avail. I wanted to write a letter of commendation to MonaVie for the best product, in my opinion, in their portfolio – (M)mūn. Coming out of the LIFE Leadership Convention where we filled the Ohio State basketball arena, I was running on an emotional high. So high, in fact, that I was having trouble sleeping because of all the excitement! Unfortunately, I have learned over the years that Orrin Woodward and no sleep do not go well together. Indeed, it’s about the only time I ever get sick. Thankfully, since I sleep well, typically falling asleep with minutes, if not seconds, of my head hitting the pillow, I don’t get sick often. My friends call me digital—either all on or all off, no in between. 🙂 Still, here I was a week out of the major and still not caught up on my sleep when the scratchy throat appeared. Uh oh, that scratchiness always signifies a bigger problem, going from a scratchy throat, to a runny nose, to congestion in my chest, and typically ending up with walking pneumonia and a doctor’s visit. The whole process knocks me out of sorts for a week every year. I want to personally thank MonaVie for a product that has saved me from my typical one week of sickness. In truth, I have not had walking pneumonia since the release of (M)mūn. According to Edward Deming, the great statistician, seven data points is a trend, and this trend points out that MonaVie (M)mūn helps keep me healthy. I haven’t studied all the science behind (M)mūn, but I do know how to run controlled experiments, having won a National Technical Benchmarking Award as a result of my work in designed experiments in a previous life. Kudos to all the engineers, marketers, and manufacturing people that provide this wonderful product to the world. I don’t claim to know how (M)mūn will work in your family, but as for me and my family, we are customers for life. What is your favorite MonaVie product? The Mental Fitness Challenge (MFC) is entering its second week, and the reports from the mental workouts are mind blowing! 🙂 When a person changes his or her thinking, he or she changes nearly everything. When I formed the idea of RESOLVED: 13 Resolutions for LIFE, I began by studying the principles that were absolutely essential for success in my own life. This wasn’t a quick process as I didn’t want to leave out any key element in the success process. Eventually, after nearly a year of examining every part of my own life and the lives of other successful people around me, I was left with thirteen essential resolutions for success. After another year of writing, the book was released in November of last year. However, that’s just the beginning of the story. 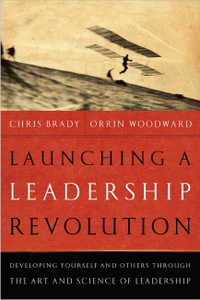 For when Chris Brady finished the book and we talked through the concepts, we realized it wasn’t just a book, but a road map to true success. The Brady/Woodward partnership strikes again with the development and release of the Mental Fitness Challenge total success system. Everyone can improve in the resolutions as I attempt to do daily. And with a step-by-step program, accountability partners, CDs, books, and weekly follow-up videos, this is a complete package. In fact, the MFC is as close to a connect-the-dot success plan as I have ever experienced. With that said, we all know that the proof is in the pudding. Therefore, for any of the thousands of people taking the Mental Fitness Challenge currently, I would like to offer a small reward for the best testimonial. 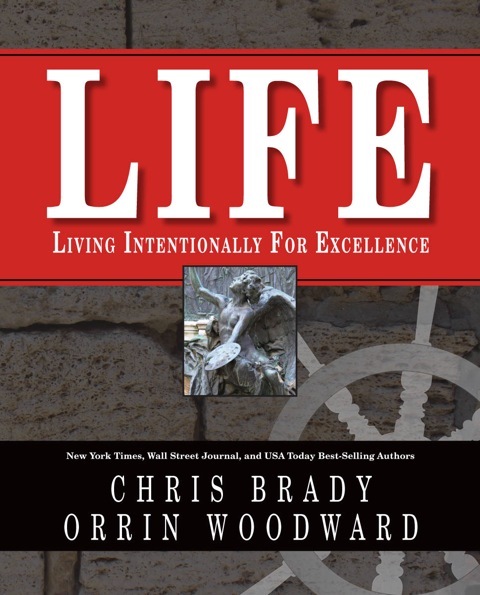 Chris Brady and I will autograph a first-release edition of our LIFE book and personally deliver to you a FREE copy at one of the seminars or leadership conventions around the country. I want to shake the hand of the man or woman who has changed the most thanks to the MFC. So sharpen up your writing skills and pen your MFC testimonial below. 1. How has the information changed you? 2. How are you thinking and responding differently? 3. What is the biggest breakthrough you have had so far? 4. Have others noticed changes in you? The MFC is going to change millions of people’s lives, but first the information must change ours. I have attended many of my kid’s soccer, basketball, and wrestling tournaments over the years. Before the game, I always share with them the same principle: give it your best. This isn’t revolutionary, for in reality, what parent wouldn’t want their children to give it their best? Today, however, while watching my son’s soccer match, a peculiar twist on this thought crossed my mind. Why do nearly all parents encourage their kids to give it their best when study after study reveals conclusively that the parents are not practicing what they preach? Consequently, parents who repeatedly display gaps between their words and their actions quickly lose the respect of their teenagers. However, judging by what’s exclaimed on the sidelines of the kids’ sporting events, I would be convinced the parents were philosophers of success with massive results. Today, for example, I witnessed parents losing their cool on the sidelines, berating their children to hustle after stray balls, shouting at them to pass to open teammates, and yelling at them to finish strong. All of it, in truth, is good advice insofar as it’s lived, but it’s nothing short of hypocrisy when the parents aren’t living the philosophy espoused. 1. Did you hustle today or just barely make it through another day? 2. Did you play as a team today or just focus on yourself? 3. Did you finish strong, or did you quit when the going got tough? Please don’t misread me. On one hand, yes, I know that it would be disrespectful for children to behave in this fashion to their parents and it wouldn’t be tolerated. On the other hand, however, is the kids’ behavior in this example much different than how parents across North America act at their youths’ athletic competitions? What gives here? Why, in other words, is it perfectly acceptable to hold the bar high on one’s children, but not upon oneself? People seem to demand excellence from their children; meanwhile, accepting daily mediocrity from themselves. This MUST change. 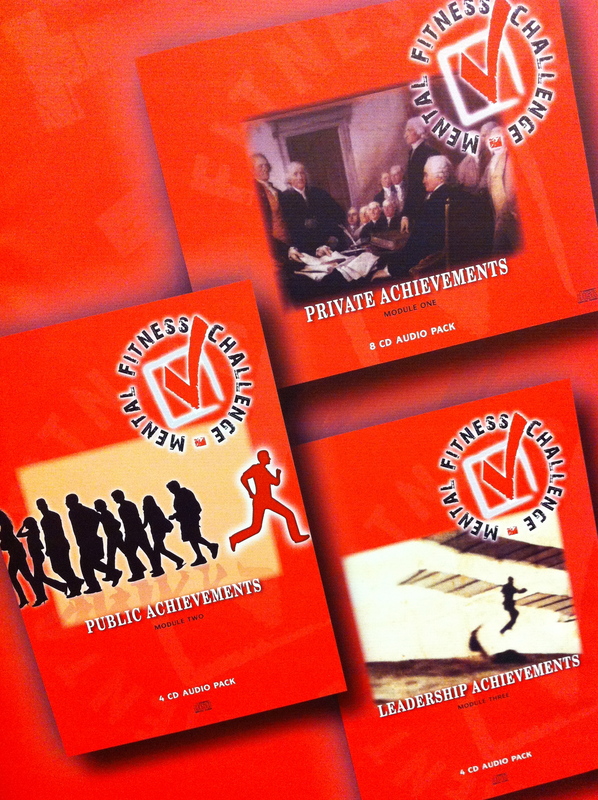 The Mental Fitness Challenge is a total success program designed to create the needed change. It teaches people the proper thoughts, plans, and actions that will help them live the life they always wanted. 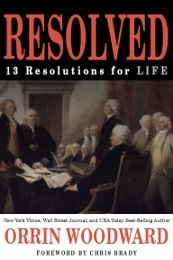 In my best-seller RESOLVED: 13 Resolutions for LIFE, I teach the 13 Resolutions as a road map to take a person from where he is to where he wants to be. Remember the old saying “Example isn’t everything in life; its the only thing”? This statement is true in many areas of life. Consequently, the best thing that parents can do for the next generation is to back up their strong words of advice with similar strong actions and results. Yes, the kids should hustle on the field, but so too should the parents in life; yes, the kids should play as part of the team, but so too should the parents in their professions; finally, yes, the kids should finish strong, even when it hurts, but so too should the parents in similar circumstances. The world is crying out for examples of men and women whose walk is as good as the talk. Instead of waiting for someone else, why not each person choose to become the model for others? One might argue, but, Orrin, no one is perfect, and I wouldn’t disagree; however, just because perfection is impossible, that doesn’t mean progress is. Likewise, just because progress is difficult, that doesn’t absolve the parents of their responsibilities. When I ask parents how important purpose, character, attitude, and vision are to their children’s future, I receive hearty amens. Unfortunately, when I ask them how important purpose, character, attitude, and vision are in their future, I receive throaty ahems. My dear reader, there is a champion inside of everyone, but it feeds on discipline and accountability food. If the champion has been starved up to now, the good news is that there is still time. Resolve today to be the example for our next-generation leaders, not because it’s easy, not because it’s always fun, but because it’s our God-given responsibility. Do you believe your kids deserve the best? I do. Parents give their children the best when they become their personal best for them. If you are unsure of where to start, then take the Mental Fitness Challenge Self-Assessment Test to identify areas to start improving today. 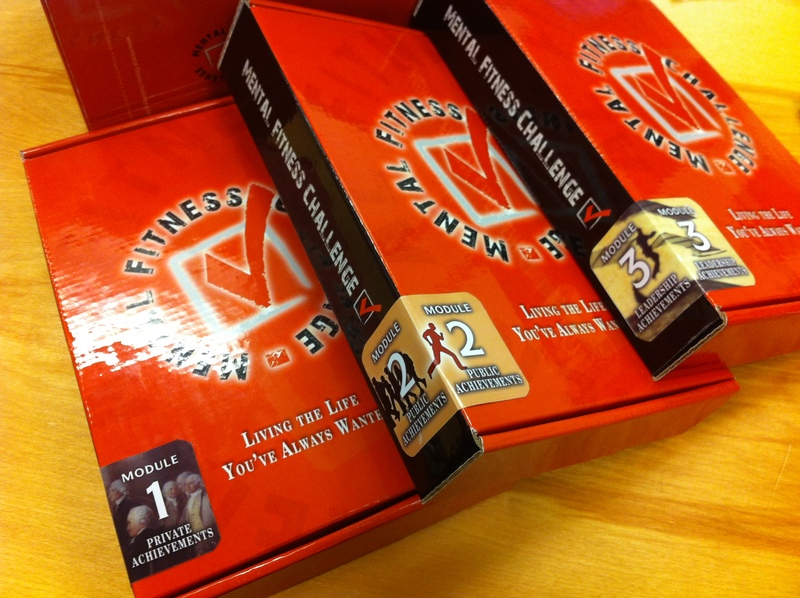 It is here – The Mental Fitness Challenge! The official release of the best systematically designed personal development program ever. I teamed up with NY Times best-selling author Chris Brady to conceptualize and develop a step-by-step process to grow personally from the inside out starting with private achievements, moving onto public achievements, then to leadership achievements, and eventually culminating in a legacy achievement. Anyone reading this who has the mind, heart, and desire to change can now achieve his or her destiny. The Mental Fitness Challenge is based around my book RESOLVED: 13 Resolutions for LIFE. Each of the resolutions is focused on for one week, leading to a 13-week program designed to inculcate the 13 resolutions mindset into your life. I have never been happier with a personal development product, and I am excited to play a part in helping people fulfill their purposes. What is the life you have always wanted? Isn’t it time to pursue it today? Here is Chris’s short description of the Mental Fitness Challenge. The Mental Fitnes s Challenge, the product that has required more study, time, effort, input, design, and blood, sweat, and tears than anything the LIFE company or Team have ever come out with, is coming soon! How soon? At the Spring Leadership Convention in Columbus, Ohio this coming weekend! What is it? 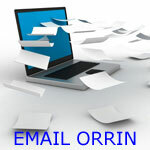 A life-changing package of information, including three best-selling books, a bunch of CDs, an online environment for tracking progress, a video library which accumulates for future viewing as videos stream in through email on a regular basis, a self-assessment test, unlimited 360 feedback, accountability partners, goal and tracking sheets, and more! This product encompasses years and years of learning how people change and maximize in their lives in all the 13 areas of resolutions from Orrin Woodward’s best seller RESOLVED. There is so much more to tell you than we can possibly do in this little blog. Therefore, we’ll just have to put it all out there for you at this convention (One big reason, among about 100, that you need to be there!) You won’t believe what you will learn about this product and how it is especially designed to help your business (and your future) go viral!!!! I had a very engaging conversation with my friend and co-author Orrin Woodward today. As usual, we kicked around a ton of stimulating ideas and pieced together something that, in our estimation, will immediately convey greater understanding as to the purpose of the LIFE business. (See the inset diagram). In each of the 8 F categories of Faith, Family, Finances, Fitness, Following, Freedom, Friendship, and Fun, one can imagine a certain grade based upon how one is doing in that category. In the diagram the center represents horrible, as in, you are totally “stinking up the joint” (as my kids say) in a certain category. Working your way out from the center to the outer ring in any of the categories represents a stronger grade. So someone with a dot near the outer ring is doing well in that category. 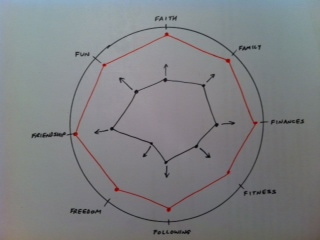 By connecting the dots on your subjective personal estimation of your life at this moment in each of the categories you can come up with a shape that roughly represents your life right now in each of the 8Fs. Quite simply, the LIFE business supplies life-changing information to help you increase your score in each of the 8Fs. The goal is to take someone from the not-so-good black shape represented toward the center of the diagram to the much improved (and happier, we would think) life represented by the red outline toward the outer ring of the circle. Who doesn’t have at least a category or two, or three, or eight, in which he or she would like to have a better score? Who wouldn’t want to transform his or her life from the tiny blob (and who among us hasn’t felt like a tiny blob from time to time?) in the center to the big wheel (and who hasn’t wanted to be a big wheel at least once in his or her life?) toward the outer ring? That’s it. From little blob to big wheel. But all kidding aside. This CIRCLE of LIFE is the snap-shot diagram to which people can easily relate when it comes to understand the goal of LIFE and the life-changing information we offer. We will help people learn and apply truth in each category and thereby improve their shape. LIFE: Because leadership is for everyone! Here is a superb LIFE testimony on how the leadership materials offered through the LIFE Business made a difference in Lisa and her families lives. This is the first of many that I will post as they come available. LIFE has a goal to reach millions of people with leadership products, training, and mentoring to make a difference. 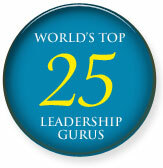 We do this by producing the highest quality leadership materials at a price affordable to everyone in the marketplace. Why should on the top CEO’s and managers get the best in leadership? LIFE is going to make a difference and like I have said many times, if you want to make a difference, then you must be willing to be different.